Iodine-Farm® is a dietary supplement on the basis of pure and natural raw material – laminaria (kelp). It is recommended as an additional source of natural iodine; it promotes body conditioning, and is recommended for prevention of iodine-deficiency states. Laminaria thalli powder – 250 mg, excipients. Laminaria is a ready-made ideally balanced complex, created by the nature, containing vitamins, protein substances, alginic acid and its salts, polysaccharides, about 40 micro- and macroelements; it is also rich in iodine in its organic form, what conditions its great uptake by the human body. Iodine is the only microelement, participating in thyroid hormones synthesis; it improves assimilation of proteins, as well as phosphor, calcium and iron uptake, activates a number of enzymes. Under its influence blood viscosity is reduced, vascular tone, as well as blood pressure are reduced. To meet the daily demand of iodine one must consume 30-40 g of fresh sea laminaria daily. Adults and children over 12 take 1-2 tablets a day with food. Term of use is 1 month with a 1-2 weeks interval. Individual sensitivity to certain components, states, preventing iodine consumption. 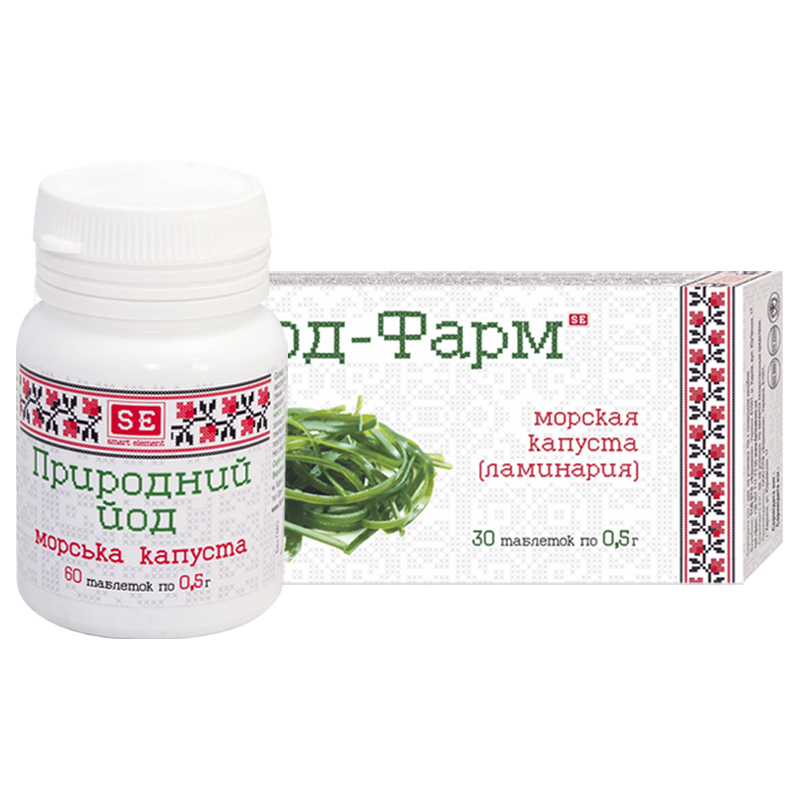 Persons with thyroid dysfunctions or taking other iodine preparations, pregnant and lactating women. 500 mg tablets N30 and N60.